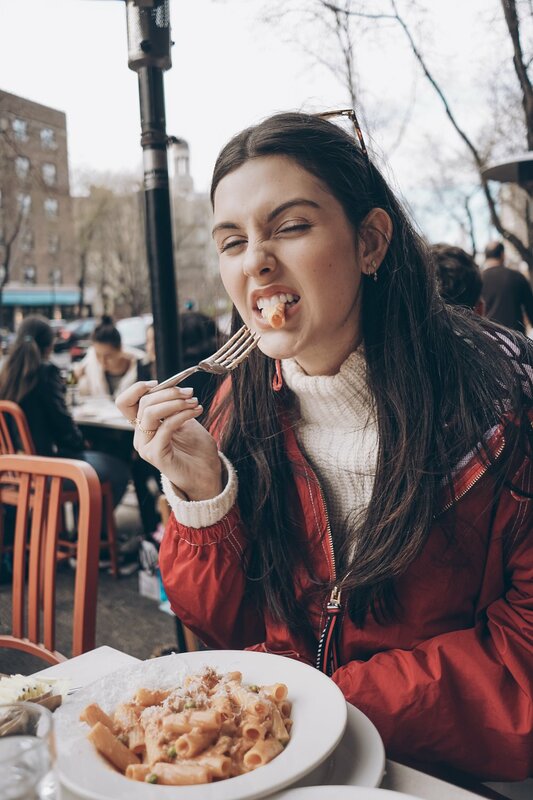 I am not a big pasta eater since I usually try to eat super healthy and clean, but there's only one place I think is worth splurging for in New York City and I think it's time I share it! Bar Pitti is my absolute favorite. I get their Rigatoni every time. It has peas and a bolognese sort of vodka/pink sauce. They also have amazing Tuna Tartare and Burrata with tomatoes that I love too. The best part about Bar Pitti is sitting outside with good friends and watching people walk by all whilst eating the yummiest food! I highly recommend trying it but make sure you bring cash as they are a cash only business!